Reputes can be positive or negative. Positive Reputes improve some of the Jarl's characteristics and negative Reputes reduce them. The Konung and Elders of the Clan that is holding the Place of Power can assign one of 25 Reputes to any Jarl in the Kingdom. 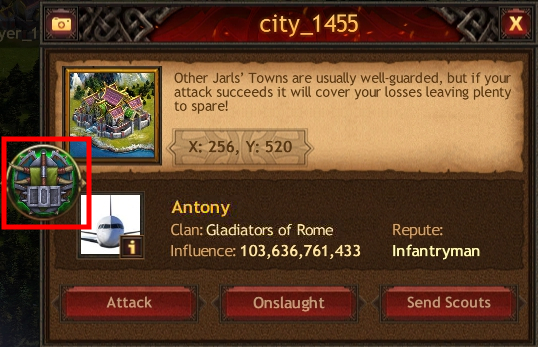 Each Repute is valid for 3 hours as long as the Place of Power's status does not change to Siege. Reputes cannot be transferred or canceled. Info about a Repute that has been assigned can be viewed in the window containing information about the Jarl. 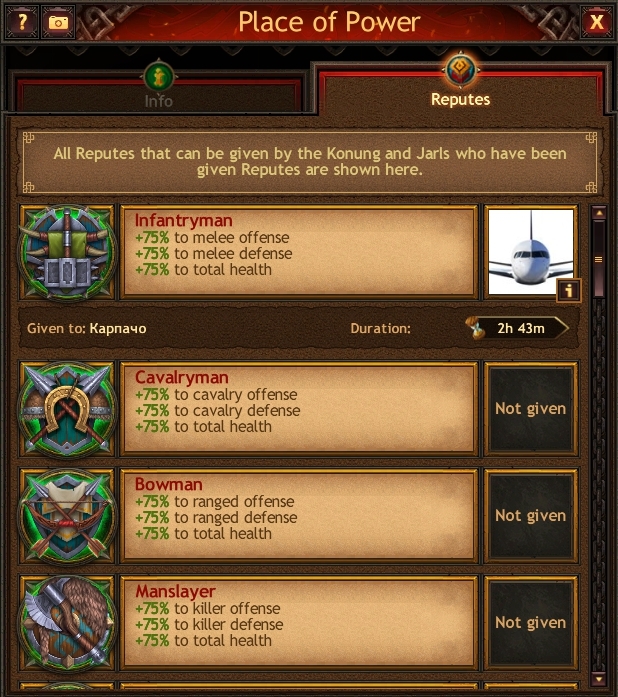 The Repute is marked next to the player's avatar accordingly.